Vitamin D is important when it comes to bodily function. It helps regulate the amount of calcium and phosphate in the body, which are nutrients that keep bones, teeth and muscles healthy. A vitamin D deficiency can cause bones to become soft and weak, which can lead to bone deformities. The best source of vitamin D is from sunlight, which our body creates from direct sunlight on our skin when we’re outdoors. But how long should we be spending in the sun every day to make sure we get a sufficient amount? 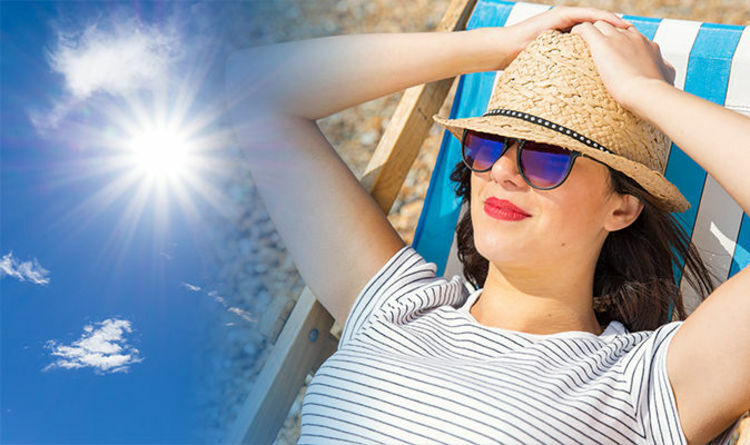 According to the NHS, most people can make enough vitamin D from being out in the sun daily for short periods with their forearms, hands or lower legs uncovered and without sunscreen from late March or early April to the end of September, particularly between the hours of 11am and 3pm. But it’s not known exactly how much time is needed in the sun to make enough vitamin D to meet the body’s requirements. It advises that people with dark skin, such as those of African, African-Caribbean or south Asian origin, will need to spend longer in the sun to produce the same amount of vitamin D as someone with lighter skin. People who get very little sunlight on their skin are at risk of a deficiency, according to medical website Patient.info. Northern parts of the UK are most at risk of not getting enough vitamin D.
Even if you do spend a lot of time outdoors, you could still be at risk of the condition if your clothes cover up a lot of your body. Elderly people struggle to produce as much vitamin D from sunlight, while those taking certain medicines may also be at risk. Patients taking carbamazepine, phenytoin, primidone, or barbiturates could be deficient in the ‘sunshine’ vitamin. “However, there is no evidence that the normal use of sunscreen does actually cause vitamin D deficiency in real life. “Everyone, especially children, should always be protected from the harmful effect of the sun’s rays. “Some medical conditions can affect the way the body handles vitamin D.
When the weather forecast isn’t great, and there’s little sunlight to be taken advantage of, Dr Sam Rodgers, General Practitioner and Medical Director of Medichecks, suggests looking to approved vitamin D supplements. Not only this, you should also increase the amount of vitamin D rich foods you eat.